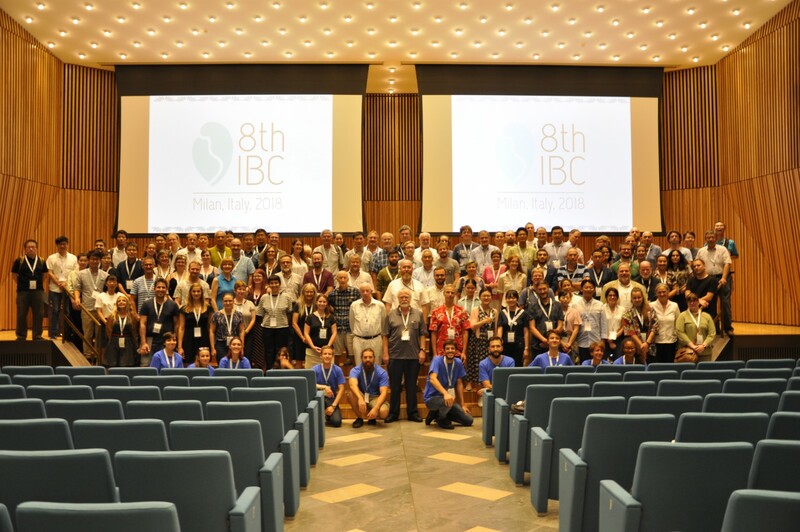 Between the 10thand 14th of September 2018, the 8thInternational Brachiopod Congress took place in the prestigious venue of the University of Milan, after the previous editions held in Melbourne (Australia) in 2010 and in Nanjing (China) in 2015. It was the first time, since its foundation over 35 years ago, that this important conference was hosted in Italy. The Congress was attended by 150 participants from universities and research institutes from all over the world (Argentina, Armenia, Austria, Belgium, Canada, China, Czech Republic, Denmark, France, Germany, Hungary, Iran, Israel, Italy, Japan, New Zealand, Poland, Russia, Slovakia, Spain, Sweden, United Kingdom and USA). Brachiopods are a group of marine invertebrates known since the Cambrian, that show a high biodiversity and a dominant role mainly in the Palaeozoic oceans. They are considered one of the best biomineral archive, due to the unique characters of their shells, to understand the evolution of marine calcifiers during climate and environmental changes in the recent and deep geological past. The topics of the Congress have touched all aspects of the study of brachiopods, from systematics and evolution to biostratigraphy, palaeoecology, palaeobiogeography, up to the biology of recent taxa. Particular emphasis was devoted to research on mass extinctions, biomineralization and geochemistry, as well as new methods of microscopic investigation with the latest equipment in this field. Interesting talks included new findings on the process of shell formation, and on the steps of its possible diagenetic alteration, and multidisciplinary studies on how brachiopods and their shells respond to ocean acidification both in culturing and natural environment and in the geological record. Advancements in brachiopod research were also testified by new discoveries on their phylogeny and taxonomy, as well as on palaeoecology and taphonomy, and on how they could survive and recover after biotic crises, such as the big ones of the end-Ordovician or the end-Permian, ending up with new approaches in shell geochemical analyses. In addition to the oral and poster scientific sessions and two prestigious plenary lectures, the Congress was preceded and followed by three field trips (Spain, United Kingdom and Sicily), as well as by two mid-congress day excursions only a short distance from Milan (Castell’Arquato and Grigna Mountains). Participants had the possibility to discover the wonderful fossiliferous localities of Italy and Europe. So…keep an open eye on macropalaeontology latest discoveries! Scientific Committee: Álvarez Martínez F., Angiolini L., Brand U., Carlson S.J., Cusack M., Eisenhauer A., Harper D.A.T., Holmer L., Garcia Joral F., Lüter C., Pérez-Huerta A., Posenato R., Shen S.
Organizing Committee: Crippa G., Brandolese V., Garbelli C., Henkel D., Romanin M., Ye F.
Gaia Crippa is a post-doctoral researcher at the University of Milan (Department of Earth Sciences, Italy). Lucia Angiolini is full professor at the University of Milan (Department of Earth Sciences, Italy). Cinzia Bottini is a micropalaeontologist at the University of Milan (Italy), where she studies calcareous nannofossils. In particular, her research focuses on Cretaceous Oceanic Anoxic Events (OAEs) and aims at understanding calcareous nannoplankton response to the extreme climatic and palaeoceanographic conditions that occurred during the OAEs. Her work includes the stratigraphic characterization of pelagic sections as well as multi-proxies based palaeoclimatic and palaeoecological reconstructions. She is one of the two palaeontology science officers for SSP. Welcome to the blog of the Stratigraphy, Sedimentology and Palaeontology Division (SSP) division of the European Geoscience Union (EGU). This blog is a platform sharing exciting SSP academic and applied topics with a broad and interdisciplinary community. Here you will find latest news in SSP related research, events, field trips, and outreach.This blog is currently edited by Alena Ebinghaus. If you are interested in writing a post, please do not hesitate to get in touch. Thank you for following us!